Close unit protection can facilitate a full range of client groups, all with their differing needs, requirements, circumstances & unique requests associated with their professions or status. We implement all operations with tact, discretion, professionalism and reliability. Your personal security is a serious business; do not take the risk with your safety, use CUP and stay protected. CUP were head of operations for the Icon Prince Hit and Run UK and US tour. The tour was the first time Prince had performed in the UK since his arena tour in 2007. 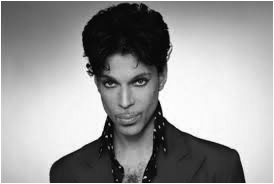 Prince, one of the worlds most iconic and greatest artist, required an Elite team for his security requirements and operations. CUP was commissioned to handle this, one of the UKs number one celebrity protection companies. Close unit protection covered the world tour & BET awards. Onika Tanya Maraj, known by her stage name Nicki Minaj, is a Trinidadian-born American musician. Minaj released her debut album in November 2010, peaking at number one on the U.S. Billboard 200 and being certified Platinum a month after its release. For all your close and personal protection and VIP transportation. Please contact close unit protection by email at mail@closeunitprotection.com. CUP really helped to manage the whole tour programme, and stepped in on areas where we needed additional knowledge to speed things up. Fantasia felt completely safe and assured that all aspects of the tour were handled professionally I recommend him very highly. Your guys at CUP are great, they even changed the itinerary so we could do some unplanned excursions. You definitely had the right guys looking after us they were very skilled and reliable. I’m looking forward to working with you all again in the future Highly recommend.